Let me now write about some of the most memorable dishes I’ve had– here and abroad! Paris, France: At Taillevent. One of the most important restaurants in Paris, awarded with 2 Michelin stars for excellence. My most unforgettable dish: Mousseline de Pommes de Terre Ratte. This most exquisite dish of puréed potatoes, topped with a circumference of finely minced black truffles, came full circle in the taste department with the egg yolk center. I’ve honestly never had anything so remarkable and if I may say, gastronomically orgasmic—it was like tasting heaven on my lips. The plating itself was an aesthetic achievement and was almost too beautiful to eat. Every single bite was worth savoring– especially since the dish came with a hefty price tag– at 95 Euros! Paris, France: From a high in the price department (Taillevent fits the bill), comes the low. 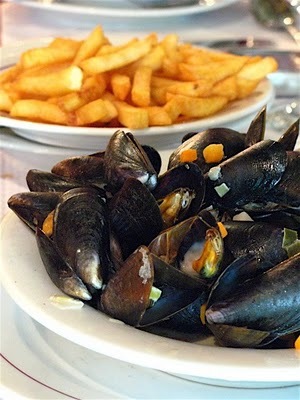 Nothing beats a good plateful of Moules et Frites or mussels with fries in Paris. I never fail to have moules et frites each time I’m in Paris just because. And La Cremaillere serves this dish well. I quite prefer the size of the mussels at this restaurant, La Cremaillere (at Montmartre– yes, yes it’s a tourist trap, but it’s a good place!) than Leon de Bruxelles, which has since started serving smaller mussels. The fries at La Cremaillere are much, much better too! Manila, Philippines: A few of the best meals I’ve had are actually from takeout food! Emerald Garden’s elusive siopao is a constant favorite– if I get to order them! It’s actually quite crazy that when I crave for their siopao, they’re always already out! 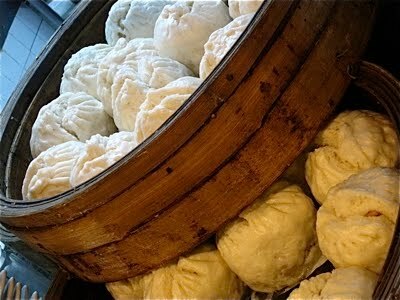 I always have to seek my dear mommy’s help to order these elusive buns 🙁 So on those odd times that I get to wake up early enough to place that call to reserve, I feast on the bola bola siopao. I always make sure to order the jumbo siopao, just in case I can’t satisfy my siopao craving :). Manila, Philippines: Chef Stevie’s Hainanese Chicken. I love hainanese chicken. Always have. I’ve tried some of the best ones in Singapore and wished they’d serve good ones here in the Philippines. And then there was Tao Yuan where my friend would buy takeouts of the chicken for me. I loved it. Hainanese chicken is a very good “takeout” dish because the chicken is not supposed to be served hot. So relax, you don’t really have to rush home to eat the dish after you have picked up your order. 🙂 For awhile, I was already good with Tao Yuan’s version. But after I was introduced to Chef Steven’s Hainanese Chicken and his chicken rice (which is oh soooo good), I became a convert and am still so hooked! I can attribute my weight gain to Chef Steven’s chicken rice, really! And though I complain about having gained the weight, I’d still never refuse that chicken rice when offered! Manila, Philippines: Mandarin Oriental Manila Paseo Uno’s Ravioli di Pecorino e Ricotta con Miele. It’s safe to say that I am not a desserts person. I don’t think I have a sweet tooth, as I can go months without eating anything sweet. 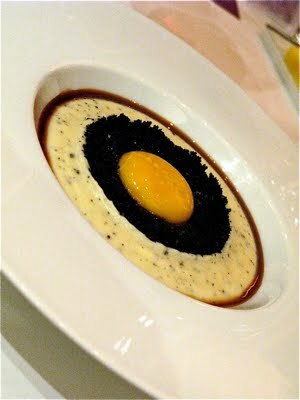 And then I tasted this at Mandarin Oriental Manila’s Paseo Uno. Mandarin Oriental currently has this Cucina Romana Italian Food Festival and there’s this dessert called Ravioli di pecorino e ricotta con miele (ravioli with pecorino and ricotta and honey) that jumpstarted my craving for sweets. The taste has not left my mouth and I can’t stop wishing that I had more. 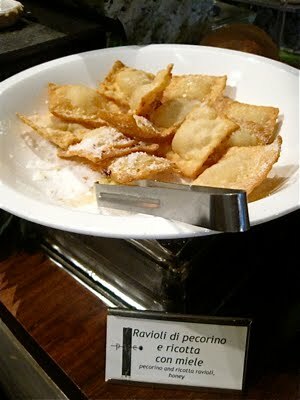 Looks like I’m popping by Paseo Uno again in the next day or so just to have more of this ravioli! Oh and to all those bagloving foodlovers out there, may I recommend using a light bag when you are about to have that feast? Believe me, you do NOT want to be lugging around a house on your shoulders after a heavy meal. 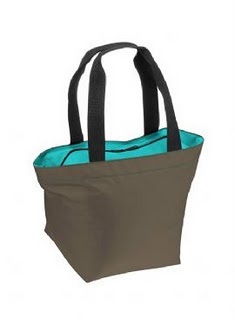 So, in the spirit of being a food- loving baghag, I’d like to recommend you use a shopping tote from from French bagmaker Hervé Chapelier. love your website! i'm a foodie too! the food looks divine!!! is this all in the philippines?